Plants transmute lower energies so plants inside your home, where you work or where you sleep act as wonderful energy cleaners, absorbing negative energy while you work or sleep and emitting fresh oxygen back into the air. This is a process that is beneficial to both you and your houseplant and ensures you feel refreshed at the end of the day! Every plant species possesses unique energetic characteristics, wisdom, sentience, purpose in the world and spiritual mission. All are engaged in planetary evolution in their own individual way. Plants have an overarching intelligence, a collective consciousness and the vibrational qualities of their species. Each plant consciousness has qualities that are beneficial to human beings and some choose to assist humans in their life purpose. The leaves of plants act as little cleaners. Plants absorb energy from the space around them and ground it, purify it and release it back into the space for healing and balance. We all know of the work plants do to absorb our respiratory waste (carbon dioxide), convert it into plant carbohydrates to build strong bodies that in turn create pure, clean, life-empowering oxygen for us to breathe. This is a beautiful symbiotic relationship living on each other’s byproducts. Any shift in this cycle has devastating ramifications and jeopardises life on the planet. What is not so well known are experiments conducted by NASA and the Associated Landscape Contractors of America in the late 1980’s to verify whether houseplants purify the air in space facilities. They proved several plants filter common volatile organic compounds (VOCs). benzene: in plastics, synthetic fibers, lubricants, rubber and pesticides. 2. Benzene: found in plastics, synthetic fibres, lubricants, rubber and pesticides. 3. Trichloroethylene: found in paint removers, rug cleaning solution and adhesives to name a few. Healthy plants absorb toxins and seal them up or completely shut them down. The health and appearance of a houseplant indicates the air quality and the energy in a space, displaying how hard the plant is working. Ensuring toxins are removed from your environment ensures clean, pure life energy is always flowing through your home. Houseplants can also work on an emotional level. A certain calmness comes from the presence of plants. Plants enhance well-being on all levels, deepen self-awareness, and mediates integration with our soul selves. How plants affect us is discussed in the book ‘Blinded by Science’ by Mathew Silverstone. Everything vibrates on a subtle level and different vibrations affect biological behaviours. Mathew Silverstone describes an experiment where drinking a glass of water treated with a “10Hz vibration” the consumer’s blood coagulation rates change immediately. It is the same with trees and plants; the plant’s vibrational pattern affects various biological behaviours within your body. Plants have feelings and sensitivities, well documented since the 1970’s. The book ‘The Secret Life of Plants’ by Peter Tompkins and Christopher Bird (1973) claims that plants may be sentient despite their lack of a nervous system and a brain. In ‘Supernature: A Natural History of the Supernatural’ (1973) Lyall Watson also documents experiments that turned public notions on their heads. In ‘The Romeo Error’ (1974) Lyall Watson describes polygraph tests done on plants by Cleve Backster from 1966. These proved plants responded to other species in distress (namely shrimps randomly dropped into boiling water) from a nearby room. Surprisingly the plant produced “significant electrical changes at the precise moments that the brine shrimp fell”. The plants also “reacted wildly to an egg being broken in the room”. 1. Thrive in it’s designated position. Plants are active healers for us and need to be treated with love and care. Make sure they have the right amount of sunshine, clean water, soil, earthenware pots with good drainage and food or fertiliser when needed. Most importantly talk to your plants so they know you know how hard they are working on your behalf. 2. Have leaves with the energetic imprint you desire. The appearance of leaves mimic the rays of energy coming off them on a psychic level. EG. prickly, spiky cacti are great plants to keep for protection, safety, calmness, relaxation, intensive healing issues in the home (such as long term or terminal illness). Broad leafed plants are more passive and therapeutic. They can be used for general energy cleaning on every level. 3. 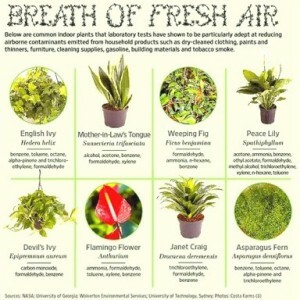 Ensure plants are safe for your home’s residents. Some plants are poisonous to children and animals so be sure to research what is best for your home. 4. Resonates with you on an intuitive level. Don’t forget these are exquisite feeling little sentient beings. The collective consciousness of your plants are allies in life who will ensure you live in a healthy environment free of toxins and full of life-sustaining fresh air. They are a natural pick-me-up and will stimulate feelings of health and well being if you let them in. If you have a loved one in need a plant is a great gift. Spend a few days with the plant to programme it so the plant will be an emissary for healing. Talk to it, tell it about the positive and empowered aspects of your loved one. Feed your plant charged water, decorate the plant with little hanging messages or quotes, crystals, or paint the pot to make it personal. After the person regains health or passes on the plant needs to be returned to nature and not kept in the house. If you are using herbs for healing the healing potential can be enhanced by also growing them. You can use the herb as a healthy snack or an ally; sharing your space and breathing with what heals you on an internal level can increase the effectiveness of the herbs you ingest. Plants are beautiful healers and givers of life. Treat them well and invite them into your homes. The benefits are endless!